This flower field is originally a ski slope. 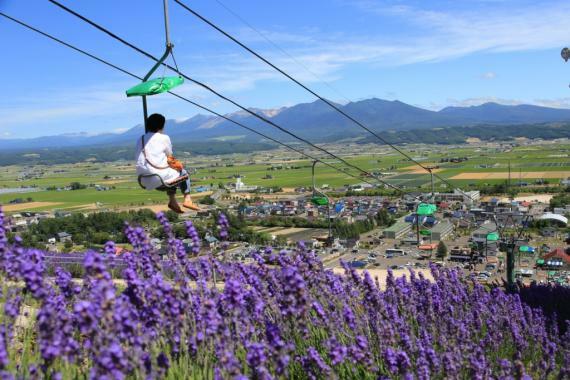 You can experience watching lavender fields while riding the chair-lift slowly. This happens nowhere else but in Nakafurano. By hanging lavender upside down, you can enjoy richer scent of dried flower. Find your own ways to enjoy it, like wrapping dried buds in cloth to make sachet, potpurri, etc. Not only to heal your heart, the lavender is known its prompt of skin generation, bactericidal reaction, insect repellent. 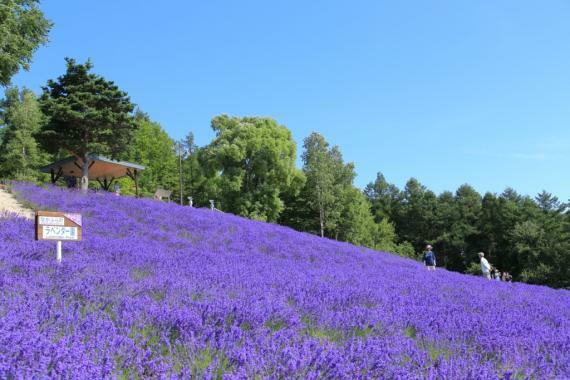 (1) Receive chair-lift (and lavender picking) ticket at the ticket booth after arrival. (2) Ride on the lift to reach the hill top. Enjoy the panoramic views of mountain range and farmland. 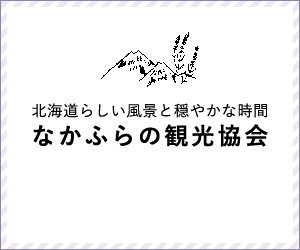 (3) Go to the lavender picking reception desk to get scissors, paper and souvenir bag and try picking. Enjoy photo shooting. (4) Ride the lift back to the bottom with picked lavender. (5) Refresh with soft-served icecream or soft drink. Taking out lavender exceeding prescribed amout (1 mini plastic cup or 1 plastic bag) will be charged additional price. [Car] 50 min. from Asahikawa Airport; 2 hrs 20 min. from Shinchitose Airport via Shimukappu IC or 2 hrs 30 min. via Mikasa IC; 2 min. from Farm Tomita. [Bus] 2 hrs 30 min. from Sapporo St. by Chuo Bus; 50 min. from Asahikawa Airport by Furano Bus. [JR] 2 hrs 15 min from Sapporo St. with Takikawa St. transit or 2 hrs 40 min. via Asahikawa St. transit. [Taxi] 3 min. from Nakafurano St.
[Walk] 15 min. from Nakafurano St; 15 min. from Farm Tomita. 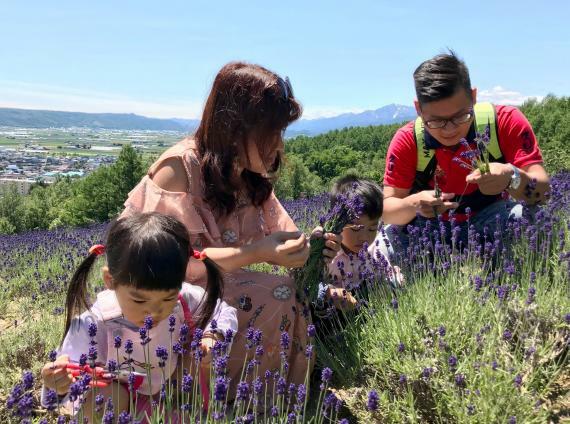 "Hokuseiyama" situated in the western hill, this symbolic flower park displays 4 kinds of lavenders, sunflower, marigold, salvia and other annual plants from mid-June to the early September. At the peak climbing up by the single chair-lift, you will surely fall in love with the vast panorama of Mt. 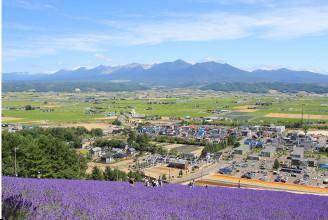 Tokachi Range, rural farmland of Furano Basin and purple carpet of lavender blossom. ②Please present your registered information on your smart phone or printed documents. No cancellation and change fee required. However,Please let us know by e-mail or tlephone in advance.